← Scottsdale, Arizona. March 14th, 2013. 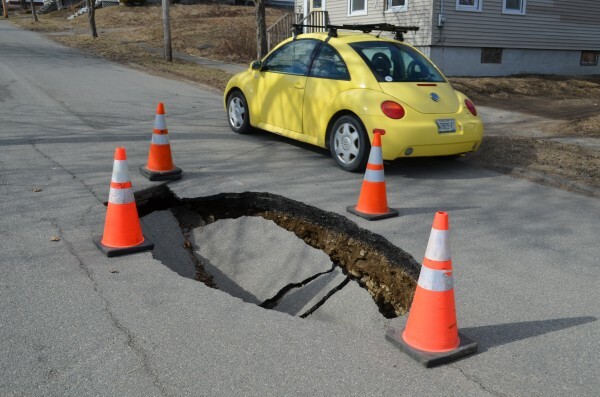 A sinkhole big enough to swallow a Volkswagen opened up on Lincoln Street next to the Bangor Daily News parking lot on Sunday. Easy for them to cover eh? Also, someone left a VW beetle parked in view of the hole. This is just too good to be true!!!! The hole is about three feet deep and eight feet long. Orange cones had been placed around the hole to warn motorists. Bangor Public Works Foreman Matthew Oakes said he had not yet seen the sinkhole, but said it would likely be addressed first thing on Monday. 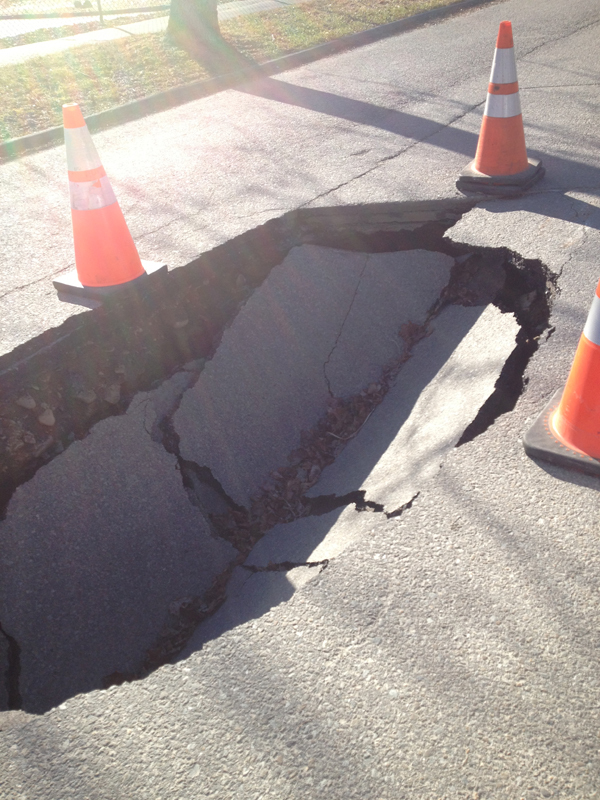 This entry was posted in Pictures and tagged Bangor, Maine, sinkhole. Bookmark the permalink.